Conor is a Director at B2B International, the world’s largest b2b specialist research firm. He has worked in market research since joining B2B in 2007. He has managed research projects spanning over 90 countries for some of the largest companies in the world, including Shell, Virgin Media / Liberty Global, Bridgestone, Molson Coors, Bloomberg, Samsung, and Honeywell. 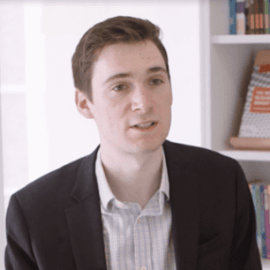 Conor's portfolio of work runs the gamut of b2b research, including branding, segmentation, customer experience, product and concept development, and market sizing and assessment. Many of his projects have informed or included the creation of personas to bring buyers or customers to life. Speaker/thought leadership credits include Market Research Society, Marketing Week, ESOMAR, Quirks, Cvent CONNECT, and Research Industry Voices.